Men's jewelry has come a long way in the past 30 years. 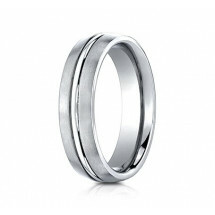 Men did not have much choice in styles and when it came to a wedding ring they usually chose the style their father had. Today, there are more choices that the typical yellow gold hammered band. 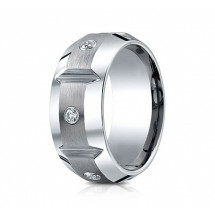 The rings are more comfortable, the styles are more original and there are choices other than gold, silver and platinum. What was once an industrial metal, tungsten, ceramic, cobalt, and titanium have entered the wedding band world. These alternative metals wedding rings have made some impressive designs and have unique characteristics that the traditional metals do not. 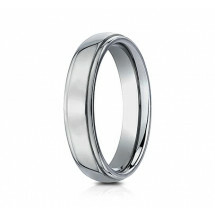 Tungsten rings are a hypoallergenic alternative metal that is twice as hard as steel, 8x harder than platinum, and 10x harder than gold or silver, therefore tungsten is the most resistant to scratching of the alternative metals. 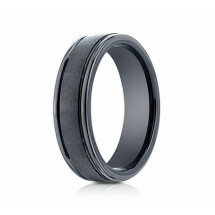 Tungsten rings available in gray, black and white ring options to suit personal preferences. 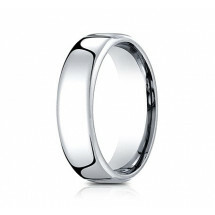 Most tungsten rings are made in a comfort fit with rounded edges to keep from chipping. Cobalt rings are hypoallergenic and is available in a cool white that looks like white gold and platinum. Most of the alternative metals are unable to be sized, but some jewelers have been able to stretch cobalt rings up to a full size larger. 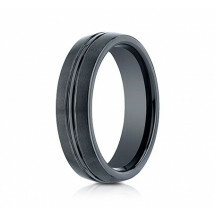 Unlike tungsten rings, cobalt is shatterproof and can be polished and have the satin finished re-applied if necessary. 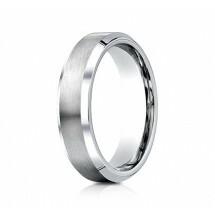 Even though tungsten rings are highly scratch resistant, tungsten cannot be polished like cobalt. 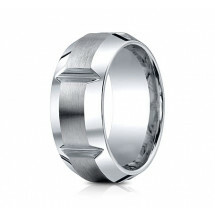 Largely known as an industrial metal used to make aircraft engines and frames, titanium has launched itself into the men's fashion jewelry and wedding rings. Titanium rings are the lightest of the alternative metals for wedding rings, making it a perfect choice for someone looking for a very light feeling ring. 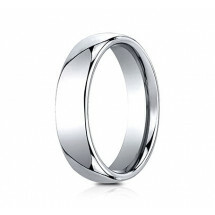 Titanium rings are hypoallergenic and all are made in a comfort fit. 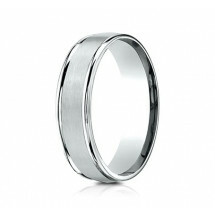 Like cobalt, titanium rings can be polished and resurfaced with a satin finish. Ceramic is an inorganic nonmetal that is lightweight and hypoallergenic. Ceramic rings are highly scratch resistant but it must be protected from sharp blows, as it may crack. Ceramic rings will not oxidize and the color is consistent throughout the entire product. 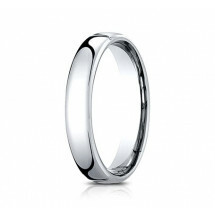 Ceramic is available in black and white and is often combined with alternative metals wedding rings for men.